Edgeway Building Services cover the areas of Brighton, Hove, Worthing and the entire Sussex region. We provide a high quality service to every area of our projects and we realize that the main reason behind the success of all our projects is achieved through the communication and understanding of our clients’ needs. We understand that every project we undertake is unique because of the clients’ needs and their budget, which is why we tailor a solution to fit these. We believe our knowledge and expertise together with our trusted and valued tradesmen will cover every aspect of your project and will be successfully delivered on time and on budget. We’re proud of our reputation which has been built on recommendation, with a large percentage of our work coming from repeat business and word of mouth recommendation. Focused on high quality standards throughout our work and approach to safety we offer the kind of professional, comprehensive and reliable service few other builders can. You can find full details of our services on the services page of this website. We also welcome enquiries at any time, our friendly team are always on here to answer questions you may have. Testimonials – What Our Customers Say About Us! Extension To Rear Of Property. Contact us at 01903 816505, 07850 078909 today to arrange your no obligation quotes and advice. We are based in Lancing but offer our building and construction services in all the surrounding areas – Brighton, Hove, Crawley, Worthing, Eastbourne, Hastings, Horsham and Bexhill. 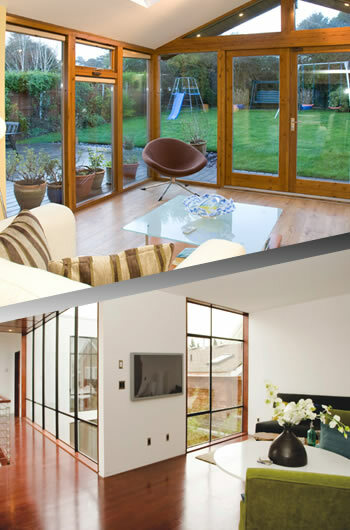 We offer the best quality home extensions. For more information on any of our services contact us for more details.